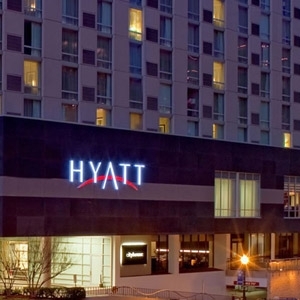 The Hyatt hotel chain in North America features hotel bedding made by DOWNLITE. The Hyatt hotel uses several items including our chamber style pillows (A pillow with a core of supportive feathers and layers of soft down on the outside) as well as our down comforters. These pillows and comforters are assembled in the USA of imported materials.